Relax after a long day at the office or invite friends over for a party—when you have all the makings of a night out at the bar right in your home. 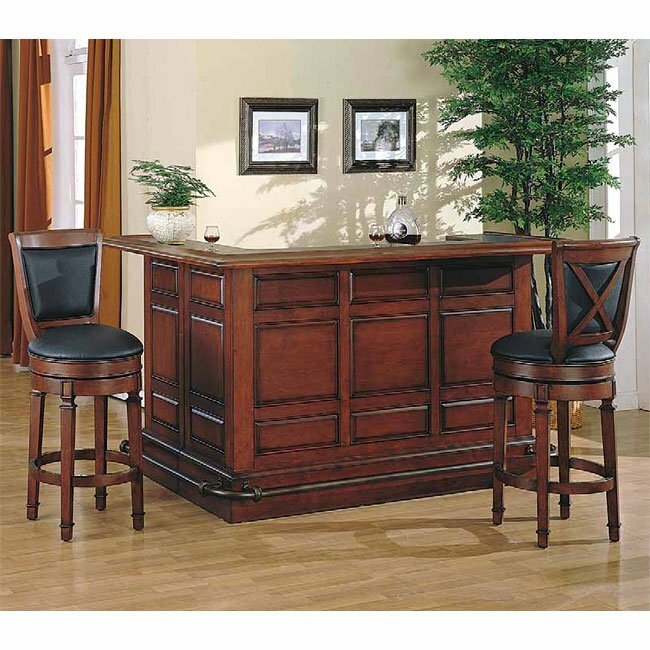 For a great traditional look, choose the Bar from the Manchester Collection by ECI Furniture. 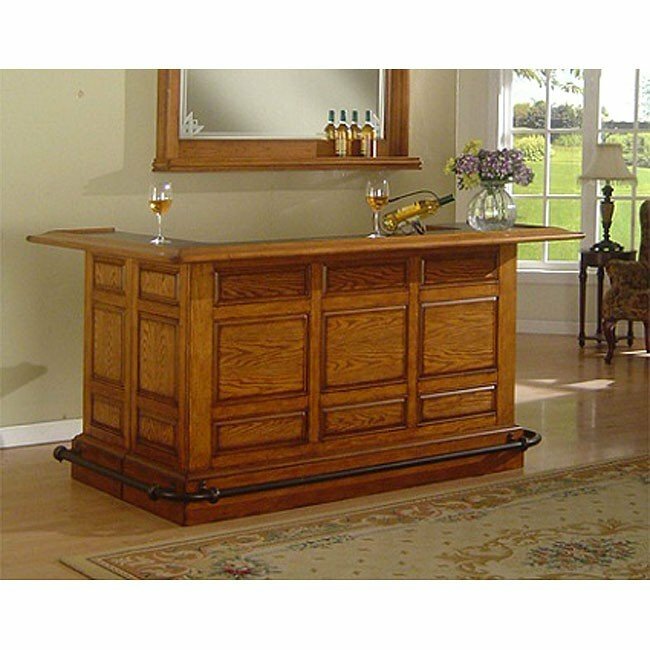 The Manchester Return Bar Set by ECI is available in Burnished Cherry or Burnished Oak Finish and features a right hand bartender’s return with a wrap around antique brass footrest. The raised panel exterior adds to the beauty of this traditional bar. Black laminate finishes on the bar top and working area add to the durability and the wine rack, stainless steel dry sink and locking doors add to the functionality. Sophistication and beauty are just two of the words that can be used for this gorgeous bar set. If you are looking for something with a touch of class, then you have found it here. You can also add two great swivel bar stools for a complete set. The wood work and brass foot rest add depth and a custom look to this bar. This is a wonderful home bar set to have for yourself and to share when you have friends over. Now, you don’t have leave your house to hit your favorite bar. There’s no easier way to guarantee your drink is made right than to mix it at your own home bar.